It’s almost time for Season 3 of the popular medical series “Code Blue”! 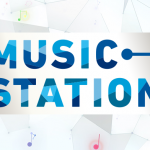 The 5 main cast members Yamashita Tomohisa, Aragaki Yui, Toda Erika, Asari Yosuke and Higa Manami are back. The new season comes after 7 years since the 2nd season and the story follows this lapse as well. Code Blue Season 3 starts airing July at Fuji TV’s getsu drama slot (Mon, 9pm). Aizawa Kousaku (Yamashita Tomohisa) left the lifesaving center of Shoyo University Hokubu Hospital, devoting himself as a brain surgeon aiming high to perform operations everyday. 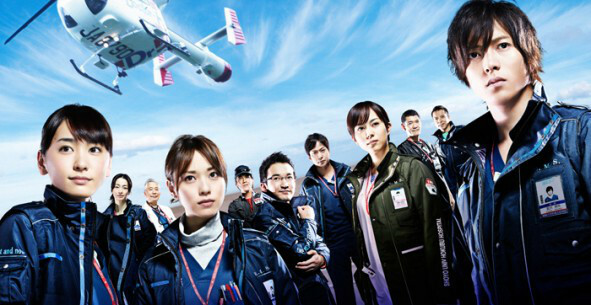 Shiraishi Megumi (Aragaki Yui), due to the insufficient aide in the Shohoku lifesaving center now, is struggling as the leader of the flight doctor staff. Hiyama Mihoko (Toda Erika) left Shohoku Hospital and is now an obstetrician and gynecologist in a perinatal care center. Saejima Haruka (Higa Manami) even now continues to be an ace flight nurse. Fujikawa Kazuo (Asari Yousuke), together with Shiraishi supports Shohoku lifesaving, has become a lifesaving doctor with specialization on orthopedic surgery. Joining the team are the new cast: Hey! Say JUMP Arioka Daiki, Narita Ryo, Araki Yuko, Baba Fumika, and Ando Masanobu. Shiina Kippei, who appeared in the 2nd season, will also be back for the drama. Arioka Daiki plays Natori Souma, an excellent physician and only son of the Director and proprietor of the well known Natori General Hospital. Not being affected by having skills as a doctor, why is it that he couldn’t feel the passion for medical treatment? In contrast, Narita Ryo plays Haitani Shunpei, a young man with a serious and kind heart but has complexity of being inferior in skills. Poor in essentials, pulls back at crucial times, falls into self-abhorrence repeatedly. Still far in the process of being a strong and reliable doctor, how will he go from here? Araki Yuko plays Yokomine Akari, the only woman among the new doctors. Having seen a medical drama at a young age aiming to be a doctor whom she admires, she’s positive, not at all timid, and takes action. She also has this side which tends too much on her dreams. Every day where there is overwhelming strictness in doctor heli not allowing mistakes, she overcomes this with her characteristic cheerfulness and frankness. Baba Fumika plays Yukimura Futaba, a strong nurse with high pride and ambition. In a day, she is quick in able to observe her surroundings. He real strength lies more on her manner of speaking. That pitching forward attitude is a good way that if you fall over, it’s a big leap in the hope of being near to senior nurse Saejima Haruka. Receiving the 4 new members are Shiraishi (Aragaki), Saejima (Higa), and Fujikawa (Asari). While once being in the same standpoint, having young ones at this modern time that is different from their selves at their time, what kind of leadership do they have? Ando Masanobu plays brain surgeon Shinkai Hiroki, rival to Aizawa (Yamashita). As a brain surgeon, it’s not just having the skills but also the means of sympathy, no doubt an ace in the brain surgery department. Sailing with a favorable wind every day, Aizawa is sick of Shinkai, becoming a huge provocation. Also, in the brain surgery department, the story of accepting just one doctor to become a Toronto resident, with a number of world leading medical cases and standard medical treatment, drops in. Aizawa and Shinkai competes for that only one seat. Shiina Kippei as Tachibana Keisuke joins the drama again. From being an emergency doctor while leading the team that time, this season he’s depicted as a father figure. In what way will Tachibana be able to be father to a son in circumstances?